Put your face in funny GIFs, popular Music Videos, and dancing Ecards for holidays and special occasions including Birthdays, Valentine’s Day and more! • Share to iMessage, WhatsApp, Twitter, Facebook and more! • Save GIFs and videos to your camera roll. • Add the faces of friends, family or even your pet! 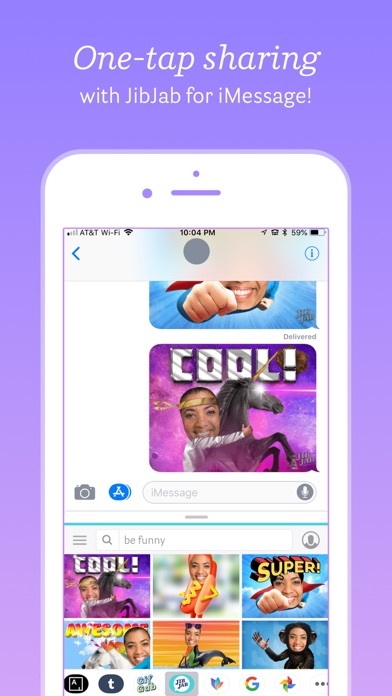 • Enable JibJab’s iMessage Extension to send right inside iMessage. • GIFs and videos updated frequently. FOR HOLIDAYS • Passover • Easter • Mother’s Day • Father’s Day • Independence Day • Halloween • Thanksgiving • Christmas • Hanukkah • New Years • Valentine’s Day • St. Patrick’s Day FOR SPECIAL OCCASIONS • Happy Birthday • Thank You • Love • Anniversary • Get Well • Congratulations • Weddings • Baby • Graduation • and more! Have feedback or questions? 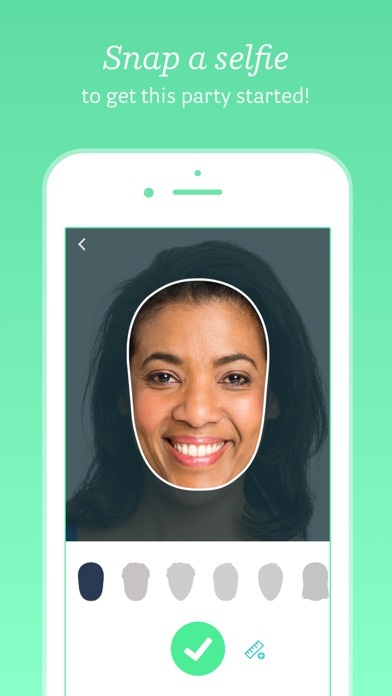 Get in touch with us at [email protected] HOW DOES A JIBJAB MEMBERSHIP WORK? 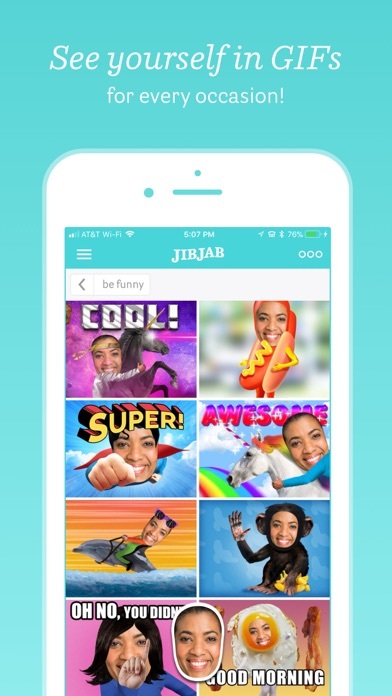 • You’ll find 1,000+ GIFs in the JibJab app that are free to view and share. 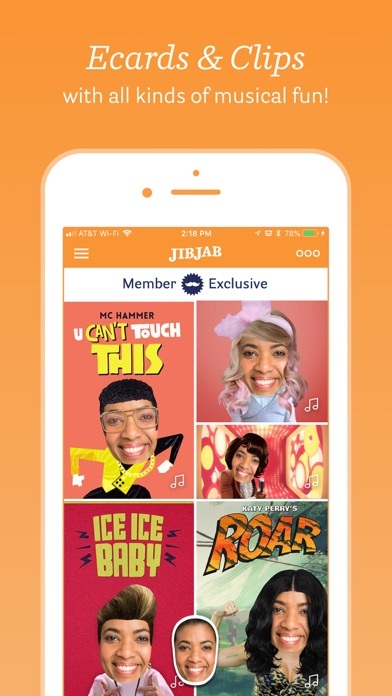 • A membership provides access to make and share 1,200+ premium Ecards and Music Videos in the JibJab app and on JibJab.com for only $2.99 per month. • New GIFs, Ecards, and Music Videos are included in your membership. • Payment will be charged to your iTunes Account at confirmation of purchase. • Memberships automatically renew for $2.99 each month unless auto-renew is turned off at least 24-hours before the end of the current period. • You may manage your auto-renewal by visiting your iTunes Account Settings after purchase. 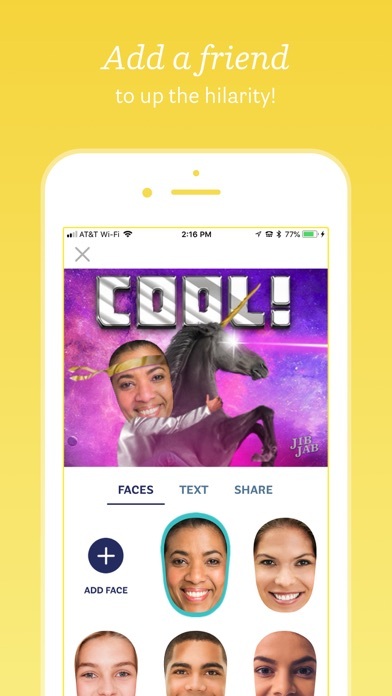 • For JibJab’s Terms of Sale, see: https://www.jibjab.com/terms-of-sale. Okay so I feel like we should be able to like watch a video to be able to save some of the clips because I know if I decide to play he three dollars that I’m just going to forget I got the app and waste my money. We should be able to at least SAVE the videos because when ever I try to screen record it the video crashes so it’s like you made a video for no point/reason. SO YEAH IM KINDA MAD.